This was a great success! It was wonderful to see children in their international dress from so many diferent countries and also wearing the colours of their flag. 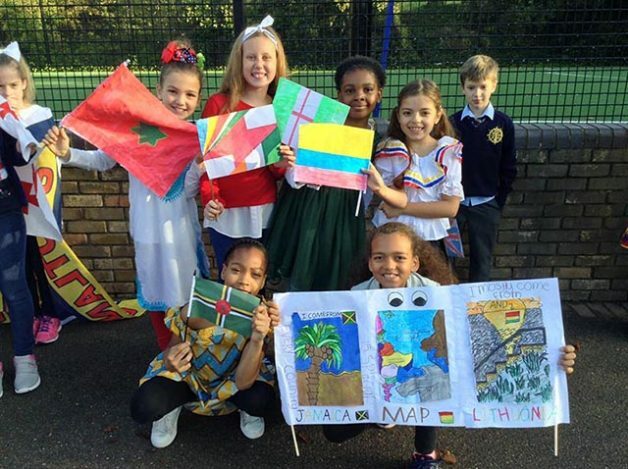 The morning began with an assembly to celebrate the rich international diversity of our school. The flag parade was a great way to end the day and the half term! A colourful spectacle of flags from around 50 different countries. Thank you for your support! For a larger view, please click on the thumbnails below.